TORONTO — It was a homecoming to remember for Malik Richards this past weekend, as the Mt. 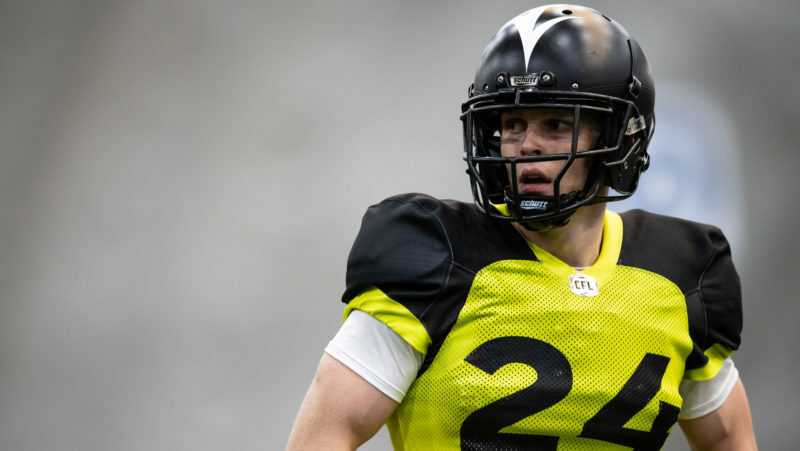 Allison receiver’s performance at the CFL’s National Combine cemented him as part of an outstanding receiver class heading into the league’s 2019 draft. The Brampton, Ont. native put up the third-best 40-yard dash time (4.62) and fifth-best vertical (36.5”) at the event, then wrapped his performance with a stellar effort in Sunday’s 1-on-1 drills. After testing well — the Brampton, Ont. native put up the third-best 40-yard dash time (4.62) and fifth-best vertical (36.5”) at the event — he wrapped his performance with a stellar effort in Sunday’s 1-on-1 drills. 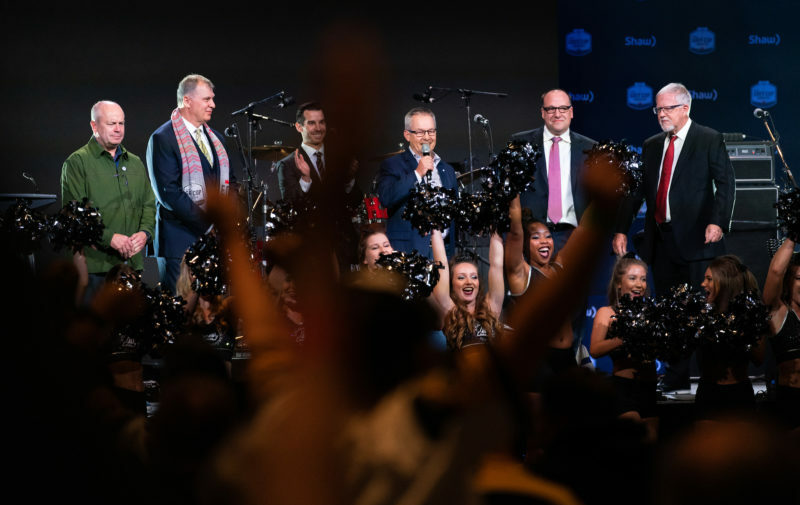 His journey to the combine, where he was supported by a number of boisterous hometown friends, was a winding one; initially committed to Guelph, he then moved out east to Mt. A and developed into one of the AUS Conference’s premier receivers. Some of those serious players from out east were on full display in Toronto, with St. FX’s Kaion Julien-Grant also shining in what is projected to be a top-notch receiver group. 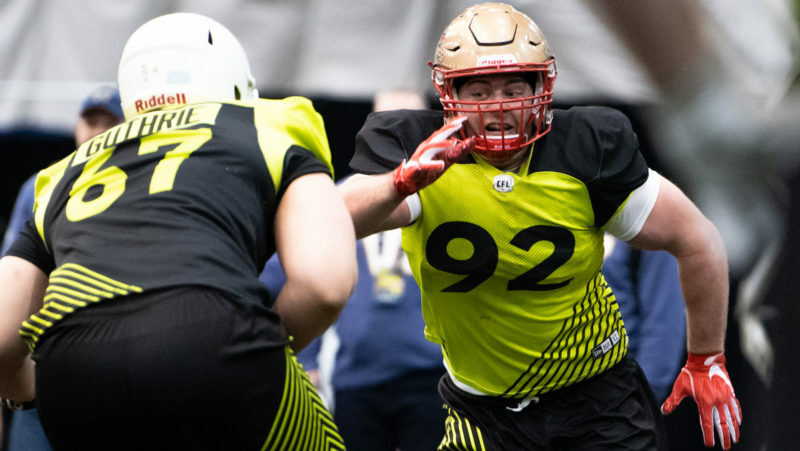 St. FX linebacker Gordon Whyte, Acadia defensive lineman Thomas Grant and defensive back Jay Dearborn — Carleton University via P.E.I.’s Holland College — also competed in Toronto at the CFL’s National Combine. Mt. Allison head coach Peter Fraser said his top receiver’s standout combine performance came as no surprise. The Mounties head coach was not surprised by the strong performances from Richards and Julien-Grant in Toronto. “The biggest thing I can say out here is there’s athletes in the conference, (and) it’s quite a bit underrated in that regard,” explained Fraser. “We can take teams and play skelly — our skill versus their skill — with anybody. Richards himself lauded his overall experience on the Atlantic university circuit. 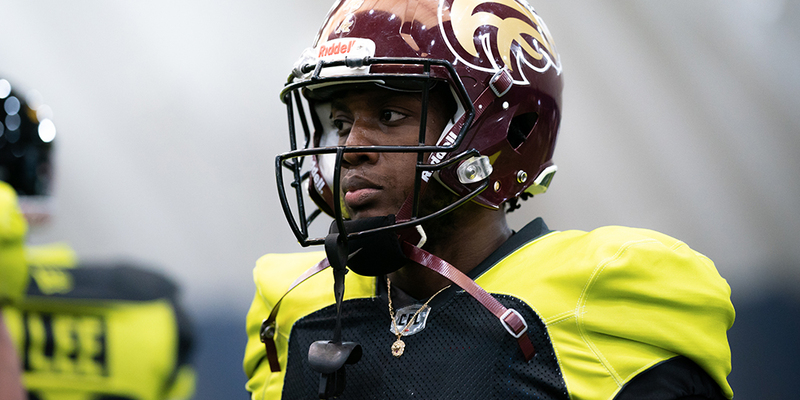 The Mounties’ star receiver last season, Richards will be hoping to hear his name called during the CFL Draft on May 2. THE RICHARDS FILE: Richards has one semester left on his sociology degree, with a planned minor in geography…besides weightlifting, his red-nosed pit bull Kiiro takes up most of his time…he is a self-proclaimed “great” basketball player…he finished top-3 in the AUS in receiving yards in both 2017 and 2018.